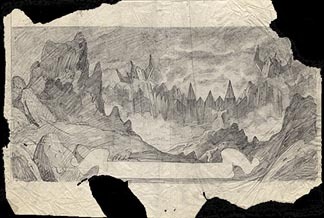 This is an original Tolkien concept sketch from the Seventies. It was planned for the fourth calendar that was never made. This sketch was one of the ideas for the centerfold.